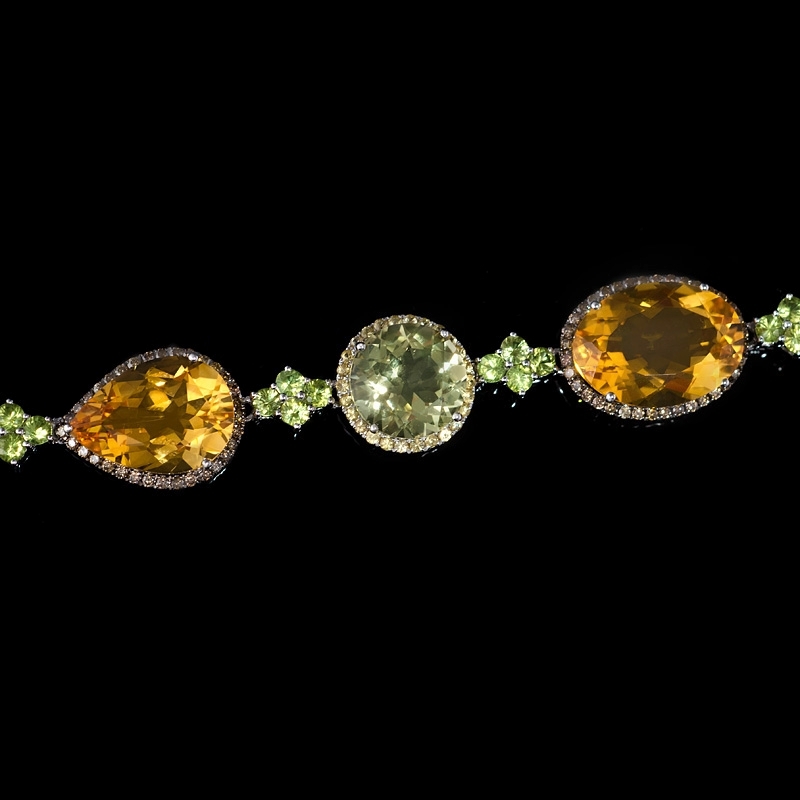 Cognac Diamond Details: 97 Round cut cognac diamonds, of exquisite color, weighing 1.08 carats total. 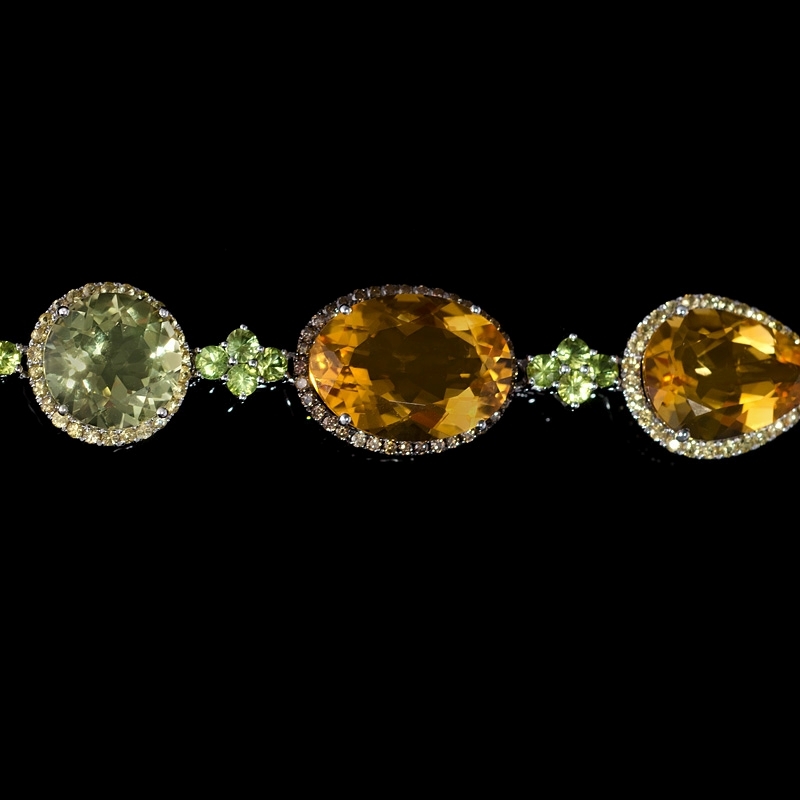 Gemstone Details: 111 Yellow sapphires, of exquisite color, weighing 2.04 carats total and 28 peridot stones, of exquisite color, weighing 3.70 carats total. 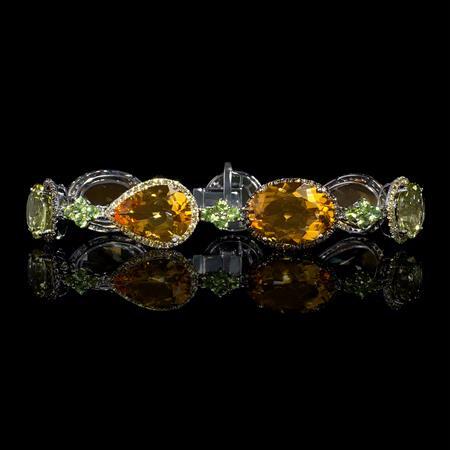 Gemstone Details: 3 Green quartz, of exquisite color, weighing 16.80 carats total and 4 citrine stones, of exquisite color, weighing 36.30 carats total. Bracelet details: 18k white gold and black rhodium. Measurements: 7.5 Inches in length and 15mm at the widest point. 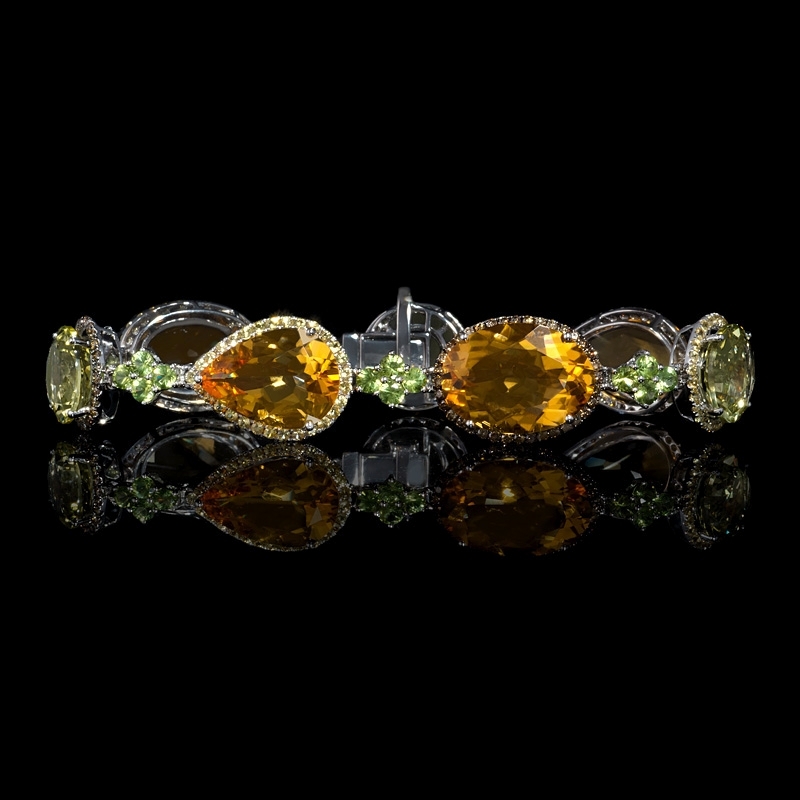 This stylish 18k white gold and black rhodium bracelet, features 111 yellow sapphires, of exquisite color, weighing 2.04 carats total, 28 peridot stones, of exquisite color, weighing 3.70 carats total, 3 green quartz, of exquisite color, weighing 16.80 carats total, 4 citrine stones, of exquisite color, weighing 36.30 carats total and 97 round cut cognac diamonds, of exquisite color, weighing 1.08 carats total. Absolutely gorgeous! The bracelet measures 7.5 inches in length and 15mm at the widest point.